Northern Star Online offers a wide range of high quality courses. This online course will provide you the opportunity to look at your own unique set of interests, aptitudes, skills, values and personality as they relate to this career exploration experience. As you work through this course you will build a personal portfolio from the information you obtain. You will be investigating in depth the career fields of Auto Body, Construction Trades, Culinary Arts and Auto Mechanics. 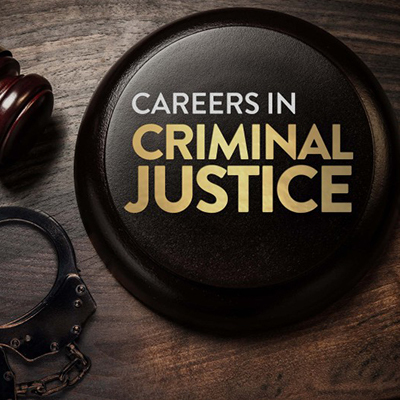 Careers in Criminal Justice is a course designed to learn the ins and outs of the criminal justice system in the United States, and spark interest in possible careers in the field. You will begin the course developing an understanding of how the criminal justice system works and its history. This includes a study of criminal law, the prison system, and criminal trials. 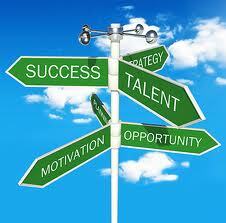 Then you will consider all of the possible job opportunities in this field, and how each of those jobs operates. 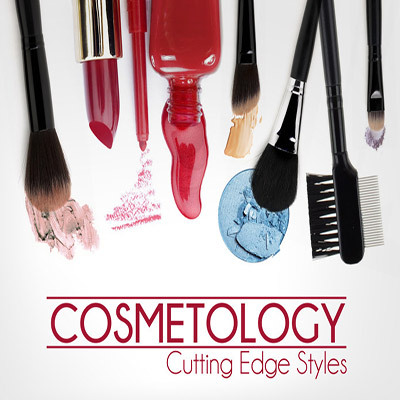 The main purpose of this course is to introduce you to the study of Cosmetology. Students will explore career options in the field of cosmetology. Research into some of the common techniques used in caring for hair, nails, and skin in salons, spas, and other cosmetology-related businesses will also be presented. Arts Mentorships is a year-long advanced learning experience for high school seniors or juniors who seek academic challenge and who are ready to explore their goals for the future by participating in advanced study under the guidance of a professional in an arts-related field such dance, writing, music, sculpture, design, photography, architecture, theater, or other areas. The complete series is equivalent to a one-hour class taken for the entire year. Students will spend the first part of the year learning about professional skill building, becoming acquainted with the literature of the profession, and conducting informational interviews with experts in the field. From these interviews the students will nominate a mentor, the person with whom they will work for the rest of the school year and complete a professional-level project that has real-world application. 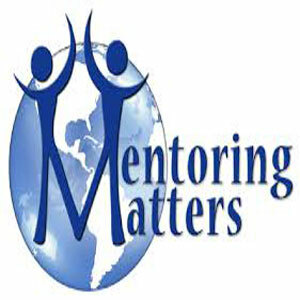 The student is expected to spend four to six hours per week under the guidance of the mentor. Arts Mentorships students develop an early professional reputation through a mutually beneficial mentor-protégé relationship, as they find ways in their day-to-day work at their mentorship sites to contribute to the mentor’s goals. They build skills in the areas of professional development, personal development, and leadership. Their experiences build a network of professionals and leaders, as well as peers who are emerging professionals and leaders. Taking the course for one year, two credits (one credit each semester). – Register for Sections A, B, C, and D – two credits. Taking the course for half the school year with a summer mentorship. – Register of Sections A, B, and Summer. For this option tuition will be required for the summer session. Taking the course for one year, four credits (two credits each semester). – Register for A, B,C, and D – four credits. For additional information, please visit Mentor Connection Online. Medical Mentorship is a year-long advanced learning experience for high school seniors or juniors who seek academic challenge and who are ready to explore their goals for the future by participating in advanced study under the guidance of a professional in any medical specialty, including nontraditional medicine. Students will spend the first part of the year learning about professional skill building, becoming acquainted with the literature of the profession, participating in seminar presentations and small-group discussions, and conducting informational interviews with experts in the field. Medical Mentorship students develop an early professional reputation through a mutually beneficial mentor-protégé relationship, as they find ways in their day-to-day work at their mentorship sites to contribute to the mentor’s goals. They build skills in the areas of professional development, personal development, and leadership. Their experiences build a network of professionals and leaders, as well as peers who are emerging professionals and leaders. – Register for Sections A, B, and Summer. For this option tuition will be required for the summer session. Social Sciences Mentorship is a year-long advanced learning experience for high school seniors or juniors who seek academic challenge and who are ready to explore their goals for the future by participating in advanced study under the guidance of a professional in the social sciences, in fields such as law, psychology, economics, social work, community service, politics, business, or other areas. Social Sciences Mentorship students develop an early professional reputation through a mutually beneficial mentor-protégé relationship, as they find ways in their day-to-day work at their mentorship sites to contribute to the mentor’s goals. They build skills in the areas of professional development, personal development, and leadership. Their experiences build a network of professionals and leaders, as well as peers who are emerging professionals and leaders. The SciMent online program is designed to provide talented students an opportunity for high academic achievement in science through independent research, mentoring and competition in the Intel Science and Engineering Fair, the premiere science competition in the world. This course makes it possible for a high school student to complete a project that is traditionally expected of a college senior or graduate student, and is a strong indicator of future academic success. Enrollment is limited and applicants must interview with the instructor to ensure understanding of program requirements before being admitted. The online course is a natural fit for busy students in need of flexibility in their schedule. The course is designed week-by-week to guide the students as they make connections with scientists and conduct research in the field most interesting to them. They are supported along the way by the instructor, a professional mentor and highly motivated peers also enrolled in the course. In completing a project, students tie in the scientific method, technical writing, public speaking, visual presentation, statistics, and many of the physical sciences, along with networking with peers and other professionals. Students who have successfully completed a project have proven themselves to be ready for many of the rigors of college and the professional world beyond. Students should register for the series of Science Research A, B, C and D. Additional semesters E and F are also available. Each segment is the equivalent of a semester credit or block term (.5 credit as reported by NSO to the local school). They must be taken in series, but timing is flexible. Prospective students must work through their counselor to complete the registration process. The high school student who applies for college having taken this course has several advantages over peers. They are academically unique in their independent pursuit of challenging learning. They have developed a project of professional regard that is of real world benefit. 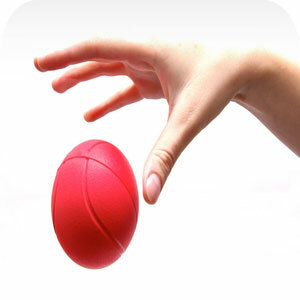 They have cultivated the skills needed to communicate confidently with adults. This course also offers students a professional immersion experience where they can explore the field they hope to pursue before attending college. Whether the experience affirms their career decision or causes the student to identify a preferred career, it happens before the large college investment is made. The Independent Living class is for students interested in learning about Life Issues that will affect them as they live in the real world. Topics include: Decision Making, Economics, Housing, Financial Management, Credit, Checkbooks, Investments and taxes. Students will learn through textbook readings, online discussion, online lessons, and some online videos. Assessments include student reflection, daily work, quizzes and activities. 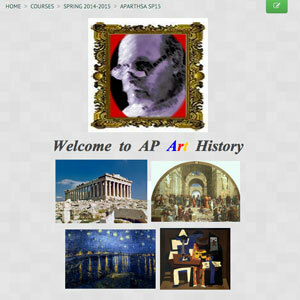 The AP Art History Course is the study of the history of art and architecture from prehistoric times through the present, across geographical and cultural lines. The course will involve students examining works of art, architecture and the cultures, people and times that contributed to the creation of those works and structures. The broader base of study that this will entail will provide students with a very comprehensive knowledge of the development of visual art and human culture utilizing an historical context with which to investigate the material. Both online and optional in person field trips to museums and other appropriate destinations to enhance the study of art history and architecture will be included. Additional study beyond the class will be strongly encouraged to help prepare students to be successful on the AP Art History exam. Textbook Deposit of $75 will be collected at the start of the class and refunded when all books are returned. Register for both Sem A and Sem B to complete the entire sequence in preparation for the AP Exam. This may be done fall, spring, or spring of one year and fall of the next. Students will need to register for and take the AP Exam at their local school. Consult your counselor for the procedures at your school. If you love fashion, architecture, game, graphics, or interior design, this class is for you. All design has the same basic principles at the core, and you’ll learn about how to use the elements and principles of design to design a Doc Martens boot, a skateboard, a tee shirt, and more! In today’s world, photographs are all around us, including in advertisements, on websites, and hung on our walls as art. 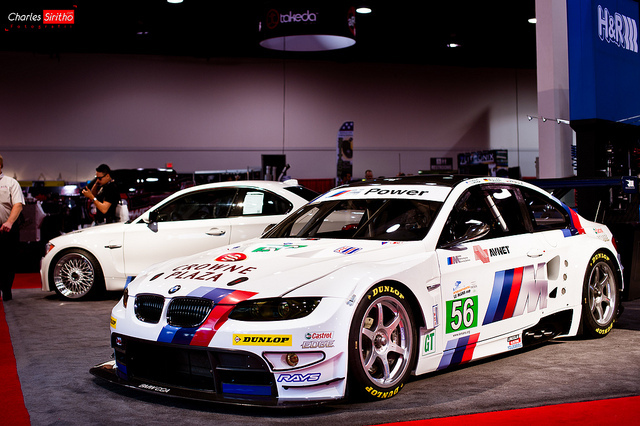 Many of the images that we see have been created by professional photographers. In the digital photography courses, students will learn creative photographic skills and processes. Students will build a portfolio of work and explore the fields of photography and graphic arts. 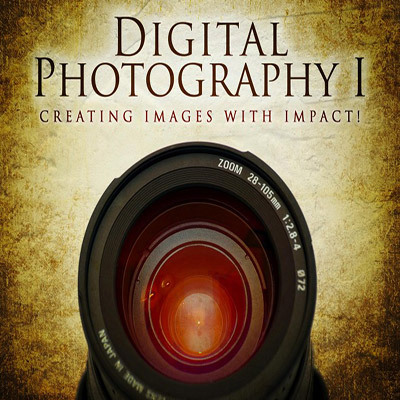 Digital Photography A teaches creative photographic skills and processes. Students will build a portfolio of work and explore the fields of photography and graphic arts. Digital Photography B will examine various aspects of professional photography, including the ethics of the profession, and examine some of the areas that professional photographers may choose to specialize in, such as wedding photography and product photography. We will also learn more about some of the most respected professional photographers in history and we will learn how to critique photographs in order to better understand what creates an eye catching photograph. 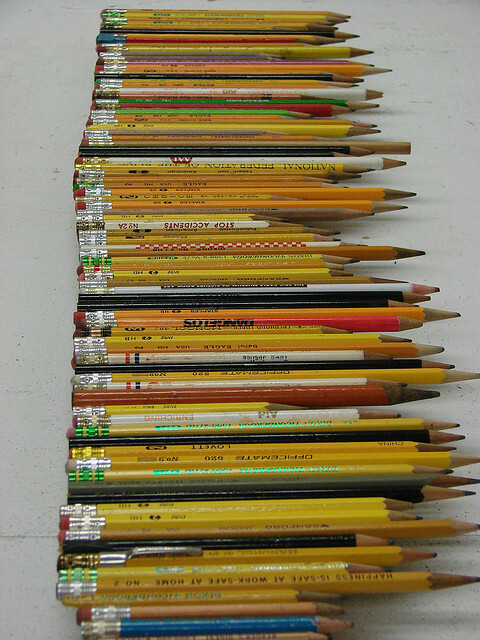 Online drawing is a course for the beginning drawer. The course covers introductory concepts that will help beginners learn skills to improve their drawing abilities. 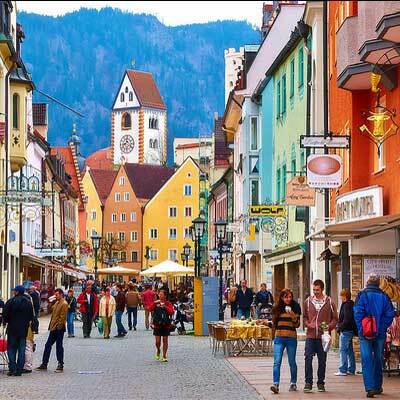 Additionally, the course covers the elements and principles of design, color theory and art history. Standard semester course, .5 credits; however, course can be shortened to accommodate students working on a quarter or trimester credit. Students will be placed in groups within the course based on their credit needs. This course will give students an understanding of the basic accounting procedures used to operate a business. The accounting procedures presented will also serve as a sound background for employment in office jobs and preparation for studying business courses in college. 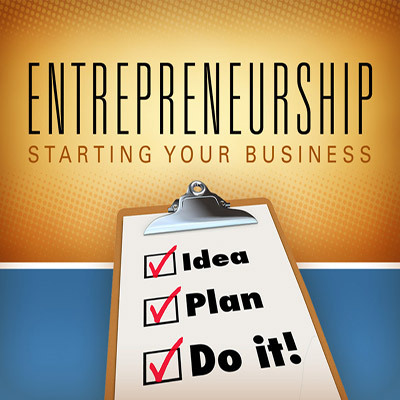 Do you dream of owning your own business? This course can give you a head start in learning about what you’ll need to own and operate a successful business. Students will explore creating a business plan, financing a business, and pricing products and services. Introduction to Business is designed to show what businesses are, how they are operated and how they are managed. You will explore business opportunities and learn how to make informed economic decisions in our global economy. Have a Facebook account? What about Twitter? Whether you’ve already dipped your toes in the waters of social media or are still standing on the shore wondering what to make of it all, learning how to interact on various social media platforms is crucial in order to survive and thrive in this age of digital communication. In this course, you’ll learn the ins and outs of social media platforms such as Facebook, Twitter, Pinterest, Google+, and more. You’ll also discover other types of social media you may not have been aware of and how to use them for your benefit—personally, academically, and eventually professionally as well. 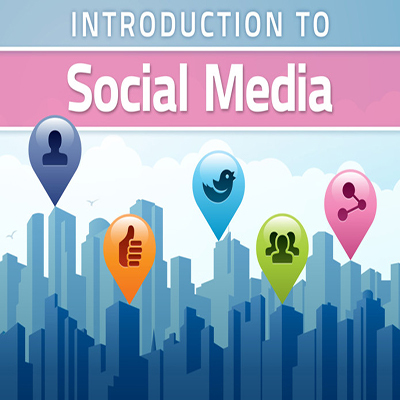 If you thought social media platforms were just a place to keep track of friends and share personal photos, this course will show you how to use these resources in much more powerful ways. 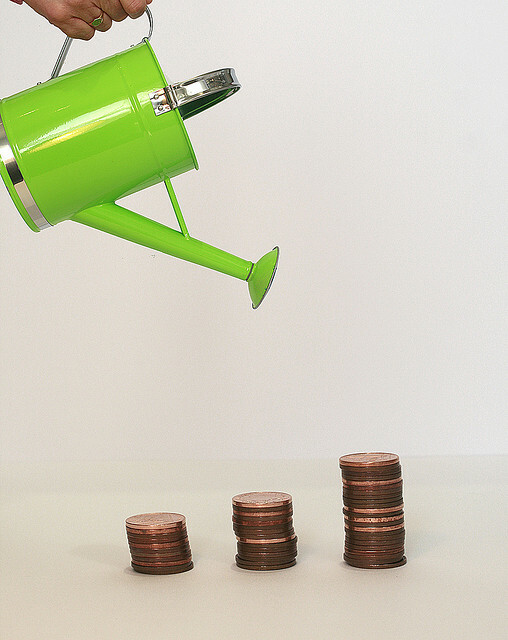 This course will educate students about sound money management planning and decisions. Students will develop positive behaviors that are necessary to attain a secure future. Do you enjoy sports? Do you enjoy traveling? Do you enjoy finding out the latest trends from Hollywood? Then this is the class for you. This course will introduce you to the basic principles of economics, marketing, and merchandising through two growing and unique areas; SPORTS & ENTERTAINMENT. Learn how markets use sports agents, sponsorships, and public relation tools to capture the American audience. Computer Programming A is the first course in programming. It uses the JAVA programming language to introduce students to the foundations of all computer programming. Students learn about basic output, working with variables, basic input, mathematics in programming, and basic control methods. Student who would like to continue to learn more programming concepts are required to complete this entire course before they can take the Computer Programming B course. This course is designed for any individual with an interest in learning about the game of chess. The first half of the course starts with some early chess history and focuses mainly on the basics of the game (the board, the pieces, and how to play). No prior knowledge of chess is required. After learning how to play chess, students learn how to read and write chess notation and are given the opportunity to play chess both online and with someone they know. 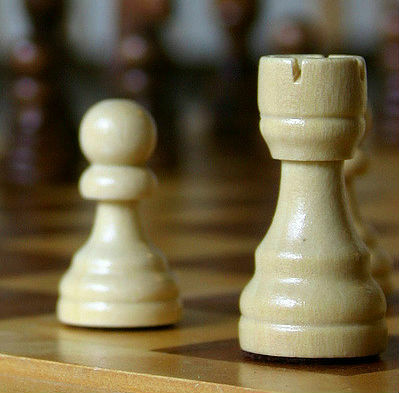 The second half of the chess course is designed to make the student a better chess player. It teaches various tactics and strategies such as forks, pins, skewers, discovery, attraction, gaining pieces, and how to checkmate with specific chess pieces. In addition, the course also covers the basic understanding needed for playing in a chess tournament, provides opportunities to explore local/national/global chess organizations, and presents multiple lessons in chess history. A final research project on a chess topic is required. 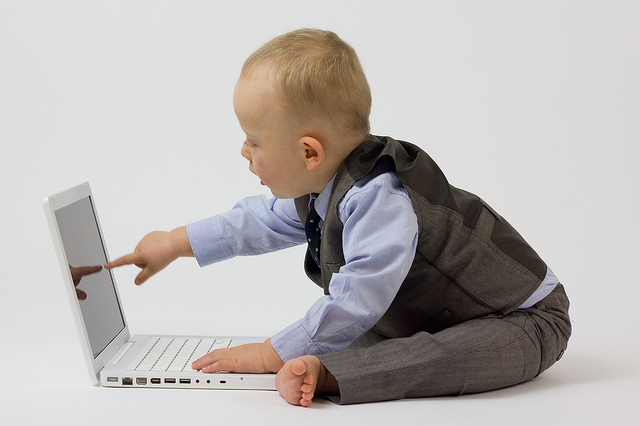 Want to have an impact on the most important years of human development? 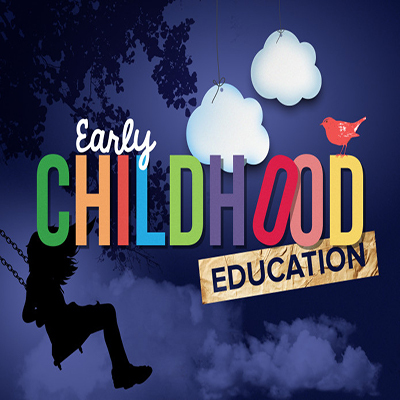 The main purpose of this course is to introduce you to the study of the early years of childhood. Students will learn how to create fun and educational environments for children, how to keep the environment safe for children, and how to encourage the health and well-being of infants, toddlers, and school-aged children. Demonstrate skills necessary to evaluate evidence supporting or challenging EI theories. 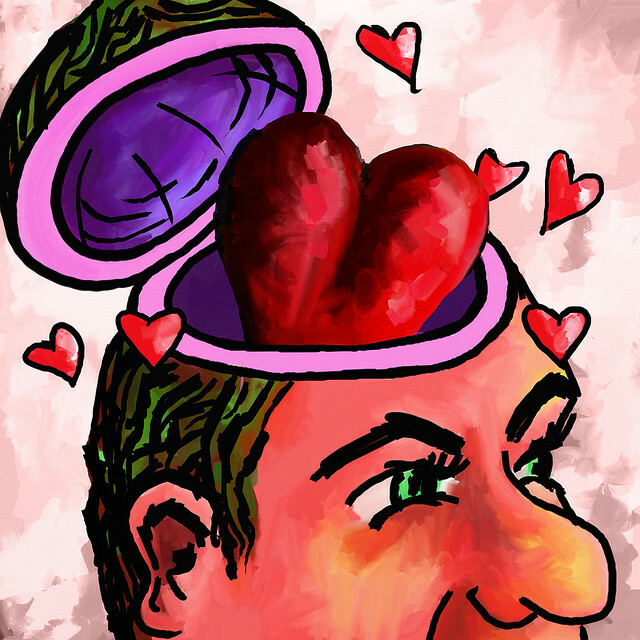 Explore the theoretical foundations of EI. 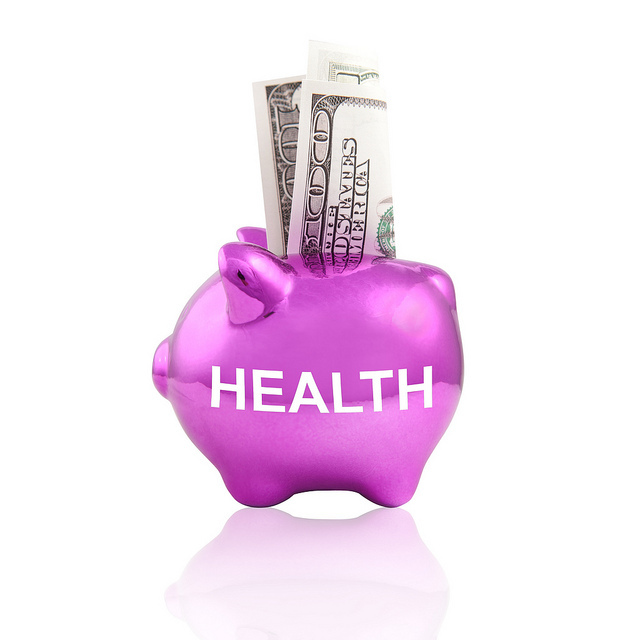 Health Prep is intended for students who need two semester credits of Health to graduate from high school. It can be taken in middle school or early high school in preparation for Health Science. Students who need only one credit of Health should register for Health Science instead of this course. Health Science is intended either for students who need one semester credit of Health to meet graduation requirements, or as the second course for students who need two semester credits. Lifestyle is a major health hazard in our society today. We can make choices that are healthy and positive, or we can make choices that endanger our health. Our main job is to take personal responsibility for our health. We can do this through acquiring knowledge necessary for good health and by taking positive steps to developing our healthy habits for life. Good health is something we can choose to strive for. It is not a one- time decision, but a series of decisions continuing throughout out lives. A major goal of this course is to help you, as students, realize that your daily choices have something to do with the way you feel. Whether it be exercise, thoughts, food, chemicals, or relationships, you have a responsibility to yourself and your body!!! Will we ever find a cure for cancer? What treatments are best for conditions like diabetes and asthma? How are illnesses like meningitis, tuberculosis, and the measles identified and diagnosed? Medical Exploration provides the answers to questions such as these. In this course, students will be introduced to the various disciplines within the health sciences, including toxicology, clinical medicine, and biotechnology. They will explore the importance of diagnostics and research in the identification and treatment of diseases. The course presents information and terminology for the health sciences and examines the contributions of different health science areas. During this course students will enhance their personal fitness through Individual & Team Sports and Aerobic Activities. Students discover their preferred way to exercise and learn what it takes to maintain a healthy lifestyle. 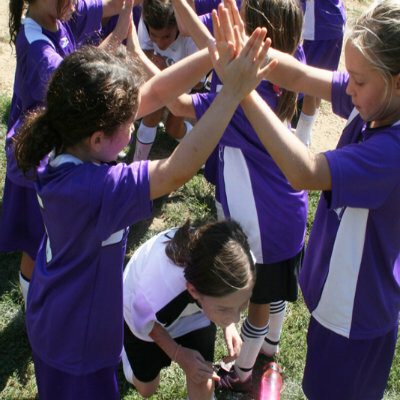 • Enhance their personal fitness through Individual & Team Sports and Aerobic Activities. • Increase physical competence, self-esteem and the motivation to pursue lifelong physical activity. • Exhibit a physically active lifestyle through participation in a variety of lifetime sports and activities throughout the course. In addition to this, an Activity Research Project will be created. The topic will be a sport or aerobic activity that the students choose. The outline is clearly defined. The project may be in the form of a Power Point, Podcast, Research Paper, Video (movie or commercial), Magazine Article or a different format that the student proposes. 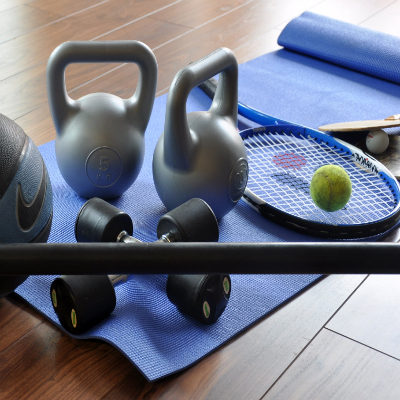 This course is created to help you discover health-related fitness as it pertains to YOU! 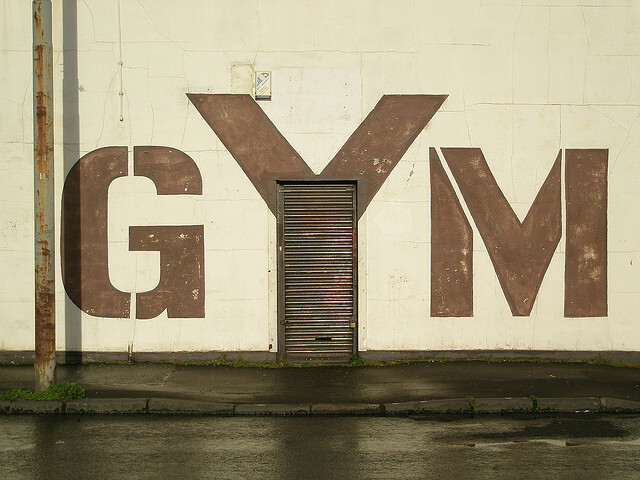 This course is created to help you create and implement your own Fitness Plan. Note: Phy Ed 1 and 2 ARE NOT pre-requisites for this course. Phy Ed courses can be taken in any order. • Exhibit a physically active lifestyle through participation in a choice of activity. 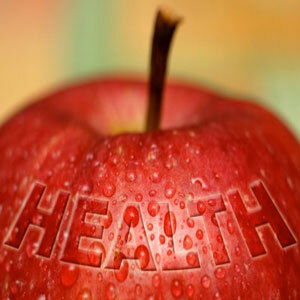 The Health Science Technology course is an introduction to the world of health sciences. Based on the Health Science National Standards, the Health Science Technology course takes students through various health science experiences that bring it to life in a virtual environment. Students will learn as they assist patients through each stage of the life span, encountering common conditions, treatments, and procedures. They will apply knowledge of legal and ethical issues, communication, safety practices, and teamwork as they practice their technical skills with each patient. This course is designed for secondary students with an interest in pursuing a health science career. It will introduce them to various health science occupations, as well as teach them the soft and technical skills that are required to work in the healthcare field. Course Description: This course is designed for high school students looking to individualize an English credit. There are four modules in each course, and students need to complete two modules for a semester credit. Students and their counselors should determine which modules best suit their academic needs. It meets the general requirements for 9th grade English. Course Description: This course is designed for high school students looking to individualize an English credit. There are four modules in each course, and students need to complete two modules for a semester credit. Students and their counselors should determine which modules best suit their academic needs. It meets the general requirements for 10th grade English. This course is meant to connect the earliest forms of human writing to the kinds of stories we tell and where we might be heading. Students will work on reading early human literature; exposure to Greek Mythology and British Romanticism. They will also work on the processes of preparing, evaluating, and delivering multiple forms of written communication. How will we interact with the world around us which is changing faster than many people can keep up? This course will use a mixture of old stories (Norse Myth and Othello) as well as the most recent events of the day to determine a balance between technology and humanity. Students will work on the processes of preparing, evaluating, and delivering multiple forms of written communication using the the most current technologies available. Students will work both individually and in groups for class assignments. 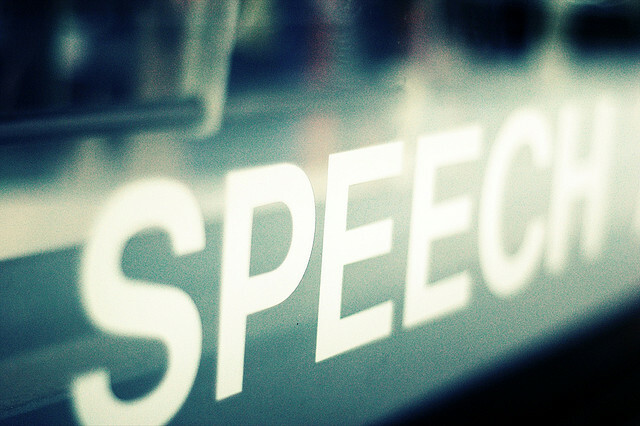 Speech Communications is an elective course that will provide students with the basic skills needed in a variety public and daily interaction within society. 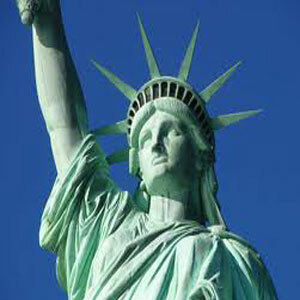 We will study historical and famous speeches, types of speeches, and speech skills. Students will learn the essentials parts of speech. Students are expected to deliver speeches to the instructor via various modes every week. Students may use: Screencast-o-matic, Skype, Face Time, Google vtalk, Yahoo Messenger, or recording yourselves with a video camera or phone. Proper technique in writing and delivering a speech. Young people today are swamped with images—thousands of advertisements each day, music videos, games, websites and more. Media Literacy encourages students to examine these images with many of the same literacy skills they use when reading a word-based text. Students will have the opportunity to explore media relevant to their daily lives–music videos, blogs and web sites, digital photography, for example–in critical ways. 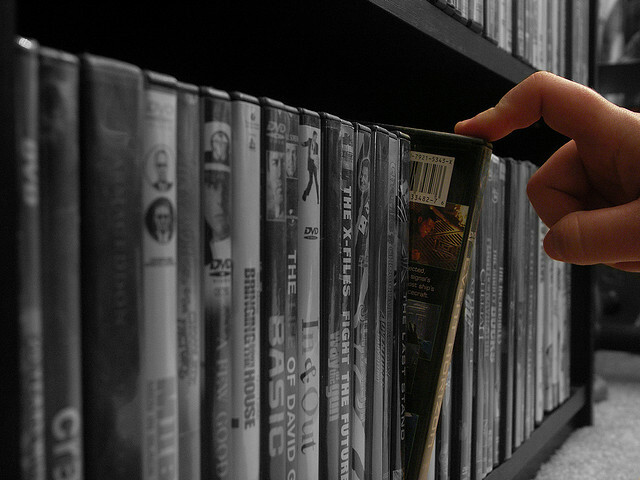 In Film Studies, the student will learn how to appreciate movies in depth and on a variety of levels. To accomplish this, students will develop criteria for aesthetic awareness. They will increase their vocabulary and their understanding of the language of films. These goals will be accomplished by studying: film terminology, art direction, sound and music, animation, genres, and directors. 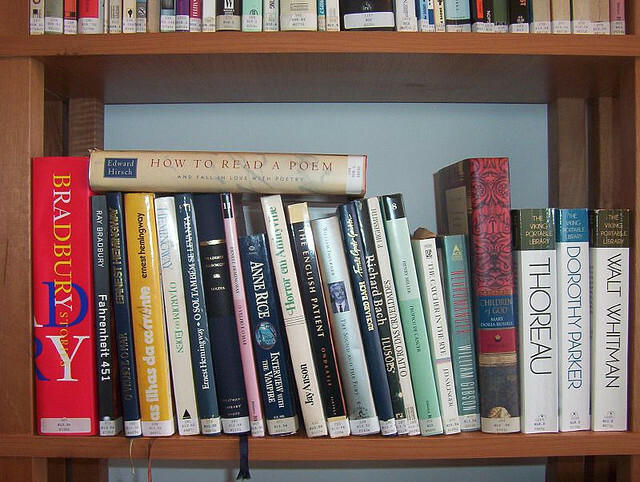 American Literature is a semester long course in which students will explore the creation of a uniquely American voice in literature by studying themes, forms, and writing styles across literary periods. They will read speeches, essays, short stories and poems online from the Colonial Period, the Romantics, the Realists, the Moderns, and contemporary American Writers. Central themes that travel across all of these literary periods are the American dream, nature, religion, war and death. The course also includes several online videos, discussion forums, multimedia projects, and short writing assignments. Students will consider these essential questions: What makes a literary voice uniquely American? 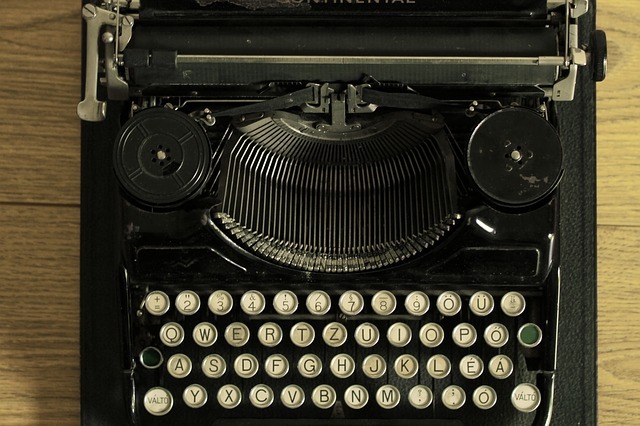 How have generations of American writers influenced each other? Students in this course will explore the literature of world cultures through short stories, epic poetry and novel forms. 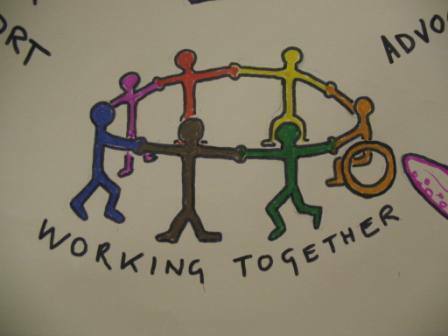 The course will explore universal themes and work to foster an understanding of the commonalities shared by all people as well as differences created by cultures. Students will hone critical thinking skills through analytical assignments as well as compare and contrast writing. In addition, they will make and support assertions about different texts and extend their thinking to related ideas. Students will complete coursework in an online community and will have scheduled online meetings with the instructor as needed. Students work with their teacher through a process of brainstorming ideas, planning with an audience and purpose in mind, drafting, revising, and final editing on essay topics of the student’s choice. 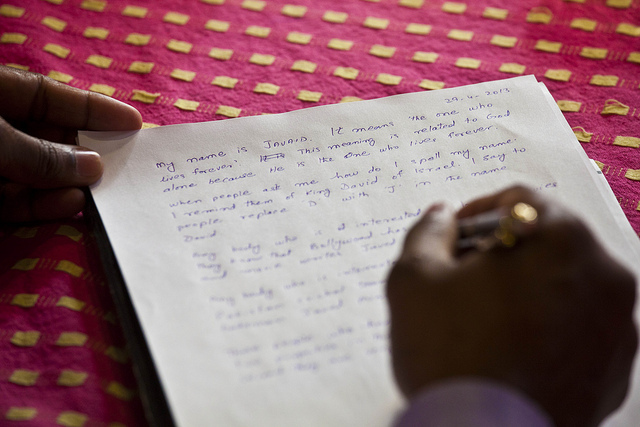 In addition to the general feedback they receive about each step of the process, students also identify their own particular concerns about their writing. The teachers use the students’ questions about writing to individualize the writing process and help students discover ways to make their writing more clear and effective. This course is intended for students who have an undeniable interest in learning to write poetry, description, and narration for an audience of both peers and the public. It includes a rigorous study of the qualities of good writing, including figurative language, content, focus, organization, and style as well as the reading and interpretation of various types of poetry, fiction and non-fiction that are considered models of good writing. The students will also read pieces that will be modeled in writing creatively. This course examines the history, principles, and practices of varied genres of journalism with emphasis on writing news, features, interviews, and editing. Understand and appreciate the fundamentals and varied aspects of journalism. Analyze and practice the philosophy of ethical high school journalism and legalities within high school journalism. 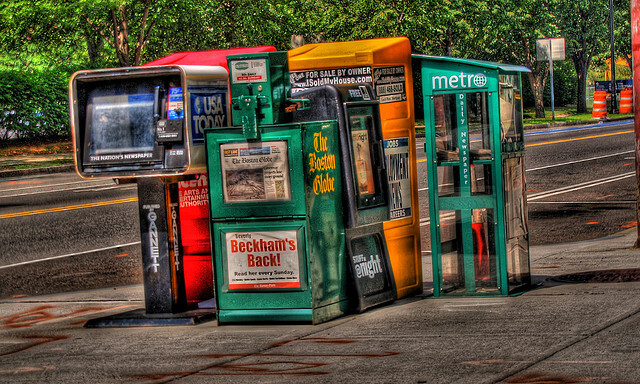 Understand and compare/contrast the importance of the business aspects of a news publication and other media sources. Investigate and produce various types of news writing and present the finished product in a concise and professional manner. Review good interviewing techniques and the proper ways to publish interviews. Develop creativity in the design process and layout using various forms of media. Appreciate the importance of photojournalism and develop skills of editing and story telling. Develop the fundamental vocabulary of journalism. 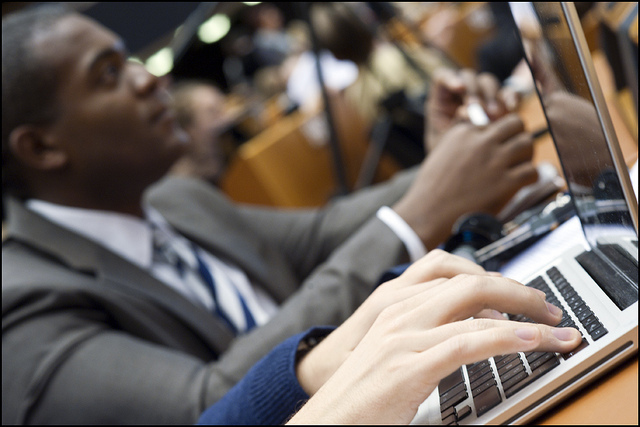 Develop skills of researching and writing of varied journalistic pieces. 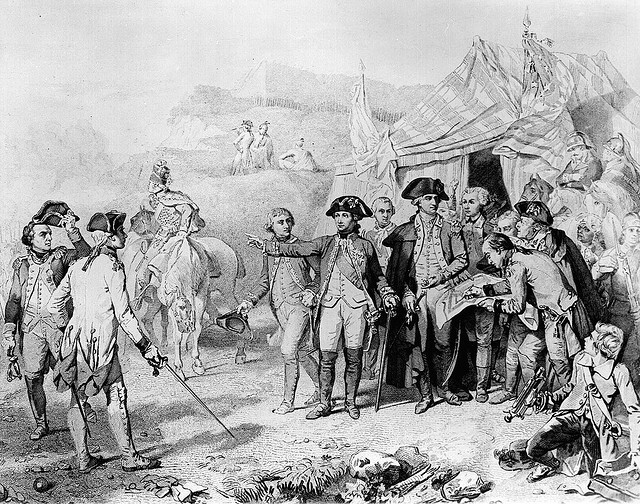 Students will learn about early American Literature, beginning with the pre-Colonial writings, Native American myth, and Colonial writings through the significant literary periods including the Age of Reason, the Romantic, Transcendentalist, and Realist movements and into the Modernist/Post-Modernist movement and Contemporary Literature. Students will be able to interact with the literature through various writings and critical thinking while developing an electronic portfolio. Algebra I is a comprehensive course that provides an in-depth exploration of key algebraic concepts. Through a “Discovery-Confirmation-Practice”-based exploration of these concepts, students are challenged to work toward a mastery of computational skills, to deepen their understanding of key ideas and solution strategies, and to extend their knowledge in a variety of problem-solving applications. Course topics include an Introductory Algebra review; measurement; an introduction to functions; problem solving with functions; graphing; linear equations and systems of linear equations; polynomials and factoring; and data analysis and probability. Within each Algebra I lesson, students are supplied with a post-study Checkup activity that provides them the opportunity to hone their computational skills in a low-stakes, 10-question problem set before moving on to a formal assessment. Additionally, many Algebra I lessons include interactive-tool-based exercises and math explorations to further connect lesson concepts to a variety of real-world contexts. To assist students for whom language presents a barrier to learning, this course includes audio resources in both Spanish and English. The course is built to the National Council of Teachers of Mathematics (NCTM) standards and is aligned with state standards. Algebra 2 is the equivalent of a two-semester traditional high school Algebra 2 course. This course provides a thorough treatment of algebraic concepts. The course begins with a study of the fundamentals of linear equalities and inequalities and continues with the study of functions, including piecewise, absolute value, and radical functions. 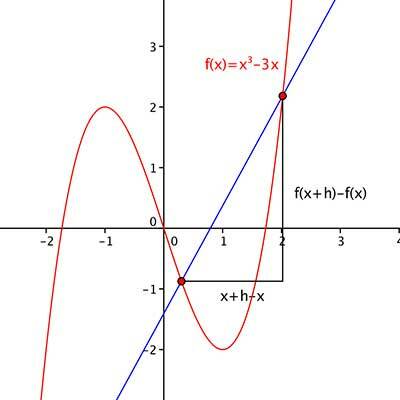 A strong emphasis is placed on quadratic functions, including fitting a curve to data. The course ends with a unit of study on polynomials. An emphasis on matrices to solve systems of equations, systems of equations used with linear programming problems, and complex numbers are addressed as solutions to quadratic equations. The mechanics of algebra with real-life applications is evident throughout the course. A transformational approach to graphing all functions is used with families of related graphs. Algebraic and graphical solutions are used when appropriate. Graphing calculators are an integral part of this course. Algebra 2 uses the Apex curriculum resource, and is offered in two semester segments. Semester A covers Units 1-6 on the syllabus, and Semester B covers Units 7-12. Students wishing to take Trimester or Quarter credits would adjust accordingly. This course includes a wide variety of activities that provide students with opportunities to discover real-world applications of geometry. The academic Math Standard V: Spatial Sense, Geometry and Measurement is embedded in the course. The Gifted Connected Math class is designed to provide challenging mathematics for 5th and 6th grade students who need greater depth and breadth in their approach to learning mathematics. The course will cover the following units of the CMP seventh grade math curriculum: Variables and Patterns, Stretching and Shrinking, Comparing and Scaling, Accentuate the Negative, Moving Straight Ahead, Filling and Wrapping and What Do You Expect? These include topics introducing algebra, integers, linear relationships, three-dimensional geometry, and probability and expected value. This is an advanced class, so the pace will be fast as we explore these concepts using lots of group work, writing, and investigations. A student must take a qualifying test prior to enrolling in the class. To learn more about the opportunities in the Gifted Math courses please click to go to our Gifted Math page. The Gifted Algebra 1 course is designed to provide challenging mathematics for 6th and 7th grade students who need greater depth and breadth in their approach to learning mathematics. This course integrates two curricula: Connected Mathematics Project and Discovering Algebra. These curricula provide engaging, discovery-based investigations and are highly consistent with state and national standards-based efforts to improve school mathematics. Students work with data-rich, real-world situations in a curriculum that places algebra in an applications-based context and where investigations precede the introduction of formulas and expressions. A student may need to take a qualifying test prior to enrolling into this class. To learn more about the Gifted math courses please click and go to our Gifted Math page. The Gifted Geometry class is designed to provide challenging mathematics for 7th and 8th grade students who need greater depth and breadth in their approach to learning mathematics. 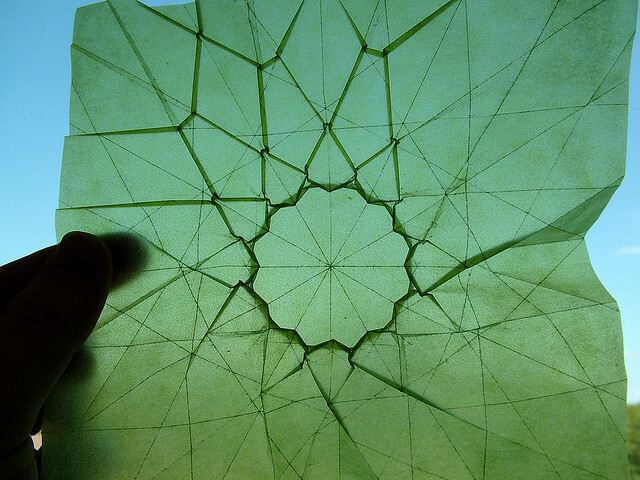 This course uses the Discovering Geometry: An Investigative Approach curriculum. It is for students who are looking for a challenging, fast-paced environment to explore mathematics. Students explore geometric relationships with a wide variety of tools, including compasses, computers, and graphing calculators. Instead of just memorizing rules and definitions, students perform constructions, measure figures, observe patterns, discuss their findings, write their own definitions, and formulate their own geometric conjectures. 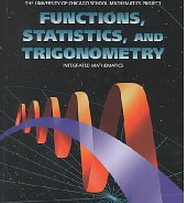 Functions, Statistics, and Trigonometry is a curriculum developed by the University of Chicago School Mathematics Project. This course is primarily designed to target those students whose “home” school system offers this course. Students who are looking for a course that bridges Algebra 2/Advanced Algebra with Calculus should take Pre-Calculus. 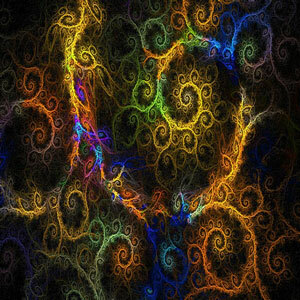 Functions are correspondences or mappings that relate variables. 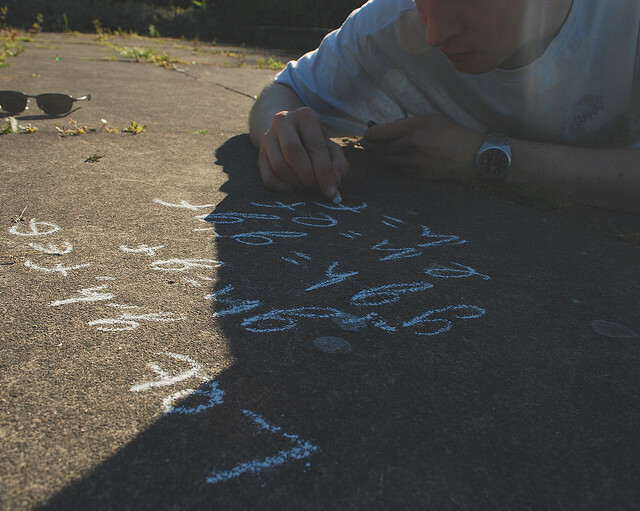 Functions could be considered the most important topic in secondary school mathematics. 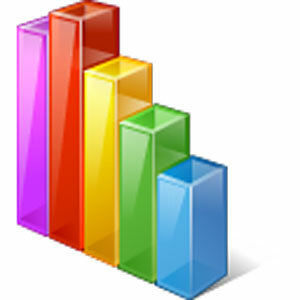 Statistics and trigonometry are natural applications of functions that help students extend their mathematical skills and maturity as well as prepare them for future study in mathematics. The purpose of this course is to study many types of functions in great detail with a strong emphasis on statistics and trigonometry. The course enables the student to display, describe, transform and interpret numerical information representations as data, graphs or equations. 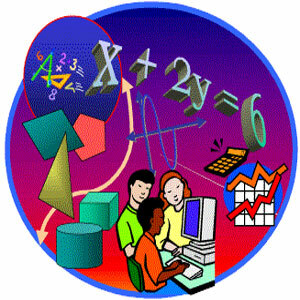 Using graphing software, the students will visualize functions, explore relations between equations and their graphs, simulate experiments, generate and analyze data and develop limit concepts. NOTE: This is a textbook-based course with minimal digital activities. It was designed specifically for schools that require FST in their math sequence. 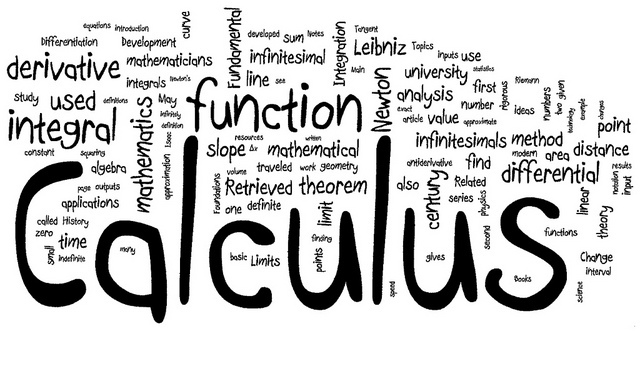 You may want to consider Precalculus as the next course after Algebra 2 to prepare for Calculus. Please consult your counselor or NSO to determine the math sequence required for your school. The older we get, the more it seems like we are bombarded with data and information. In this class we will try to teach you to better interpret this information. If you are willing to work hard, use your time wisely, seek help when needed, and become involved, you should be able to find success in Probability and Statistics. Precalculus is a course that combines reviews of algebra, geometry, and functions into a preparatory course for calculus. The course focuses on the mastery of critical skills and exposure to new skills necessary for success in subsequent math courses. The first semester includes linear, quadratic, exponential, logarithmic, radical, polynomial, and rational functions; systems of equations; and conic sections. The second semester covers trigonometric ratios and functions; inverse trigonometric functions; applications of trigonometry, including vectors and laws of cosine and sine; polar functions and notation; and arithmetic of complex numbers. 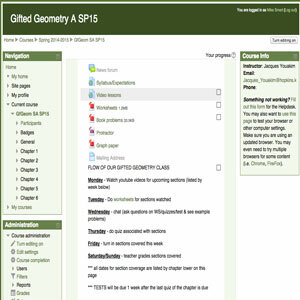 Within each Precalculus lesson, students are supplied with a post-study “Checkup” activity, providing them the opportunity to hone their computational skills by working through a low-stakes problem set before moving on to a formal assessment. Unit-level Precalculus assessments include a computer-scored test and a scaffolded, teacher-scored test. The content is based on the National Council of Teachers of Mathematics (NCTM) standards and is aligned to state standards. Students will become acquainted with the major concepts and tools for collecting, analyzing, and drawing conclusions from data. 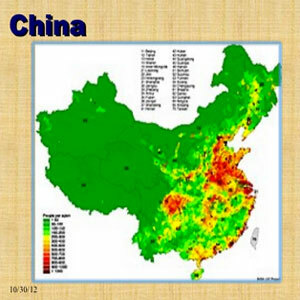 Students will work on projects involving the hands-on gathering and analysis of real world data. Ideas and computation presented in this course have immediate links and connections with actual events. Statistical computer software will allow students to concentrate on the concepts involved in statistics. 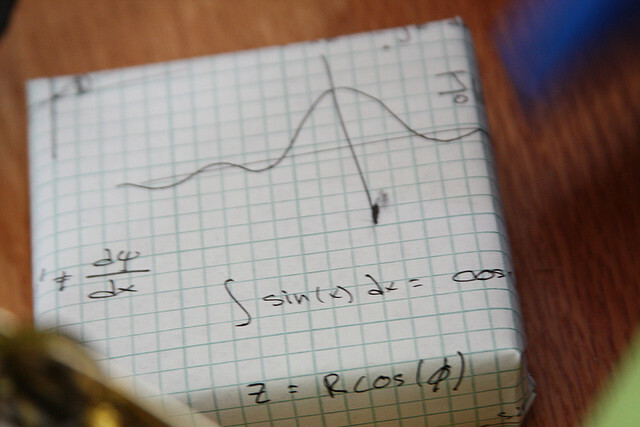 In AP Calculus, students learn to understand change geometrically and visually (by studying graphs of curves), analytically (by studying and working with mathematical formulas), numerically (by seeing patterns in sets of numbers), and verbally. Instead of simply getting the right answer, students learn to evaluate the soundness of proposed solutions and to apply mathematical reasoning to real-world models. Calculus helps scientists, engineers, and financial analysts understand the complex relationships behind real-world phenomena. The equivalent of an introductory college-level calculus course, AP Calculus prepares students for the AP exam and further studies in science, engineering, and mathematics. 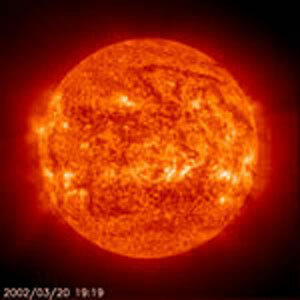 The express purpose of this course is to develop an appreciation for the night sky. Students work through twelve units in a sequential fashion, beginning with an historical perspective of the study of astronomy, moving through the tools of the astronomer, and then to the moon, planets, sun, stars, galaxies, and beyond. The course concludes with an exploration into the origin of the Universe and lastly an exposure to the pseudo-sciences that receive prime time television play, but can develop false assumptions and fears. 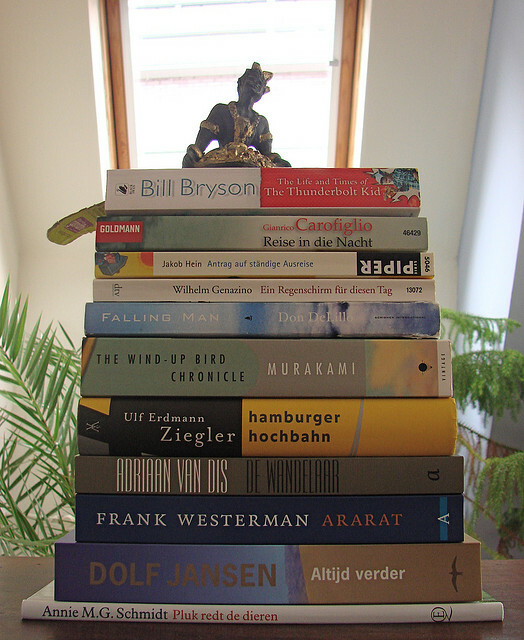 There is a fair amount of reading involved in this course. The ability to use a calculator to perform simple scientific notation and log calculations is required. 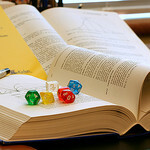 One major research paper is expected early in the course, as well as a few shorter papers. Chat sessions are a critical component, as well as self-directed night sky observations. The course is equivalent to the Hopkins ISD course #’s 2745, 2746, 2747, or 2748. 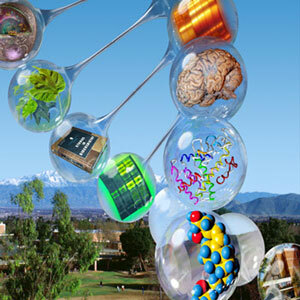 Online Biology is a non-lab adaptation of the traditional biology course. This two-part course (Biology A & B) runs over a 2 semester time period. Biology is the study of the interactions between living things and their environment, both internal and external. These interactions are studied by practical experience including home labs, simulation and the class activities. Major areas investigated are: scientific method, ecology, cell structure and function, microbiology, cell respiration, cell division, adaptation, animal behavior, and genetics. Students in Environmental Science will be studying the interaction between humans and their environment. This will include looking at the cycling of nutrients, and how living and nonliving things work together. The students will gain an understanding of our environment and our interactions within this environment by looking at several different facets and areas of study. This will be measured by the completion and scoring of readings and section-end tests after every topic. Fingerprints. 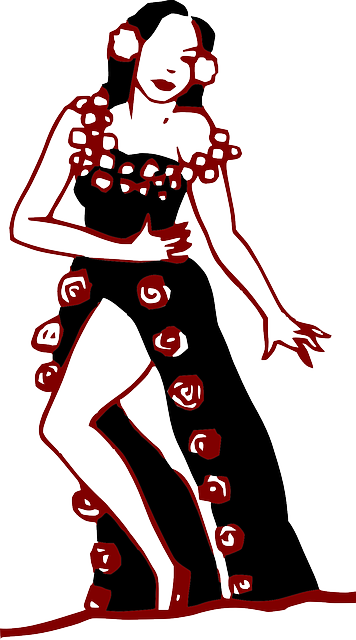 Blood spatter. DNA analysis. The world of law enforcement is increasingly making use of the techniques and knowledge from the sciences to better understand the crimes that are committed and to catch those individuals responsible for the crimes. Forensic science applies scientific knowledge to the criminal justice system. 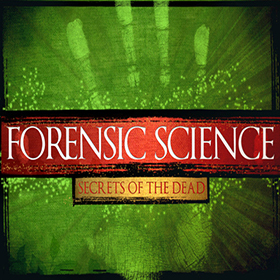 Forensic Science Sem A focuses on some of the techniques and practices used by forensic scientists during a crime investigation. Starting with how a crime scene is recorded, the course will follow the various forms of evidence through to the criminal case trial, examining how different elements of the crime scene are analyzed and processed. Although the crime scene represents the first step in solving crimes through forensic science, the crime laboratory plays a critical role in the analysis of evidence. 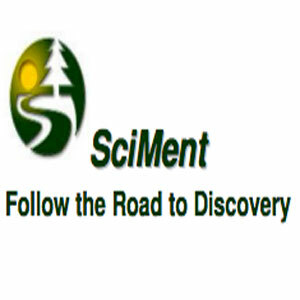 Sem B focuses on the analysis of evidence and testing that takes place within this setting. We will examine some of the basic scientific principles and knowledge that guides forensic laboratory processes, such as those testing DNA, toxicology, and material analysis. Techniques such as microscopy, chromatography, odontology, entomology, mineralogy, and spectroscopy will be examined. 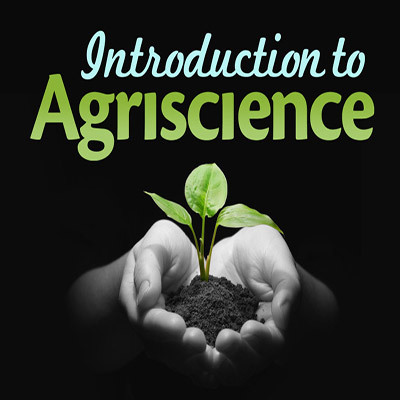 In this course, students will learn more about the development and maintenance of agriculture, animal systems, natural resources, and other food sources. Students will also examine the relationship between agriculture and natural resources and the environment, health, politics, and world trade. As animals play an increasingly important role in our lives, scientists have sought to learn more about the health and well being of animals. From the pets that live in our homes, on our farms, and in zoos and wildlife sanctuaries, this course will examine some of the common diseases and treatments for domestic animals. Toxins, parasites, and infectious diseases impact not only the animals around us, but humans, at times, too. 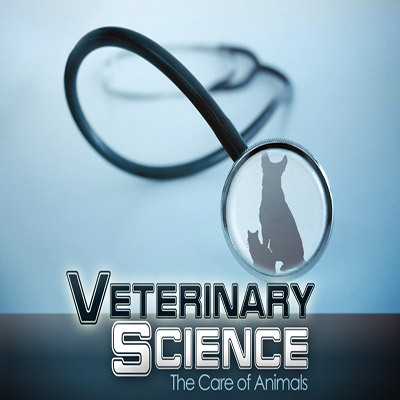 Through veterinary medicine and science, the prevention and treatment of diseases and health issues is studied and applied. This is a general high school Physics course. 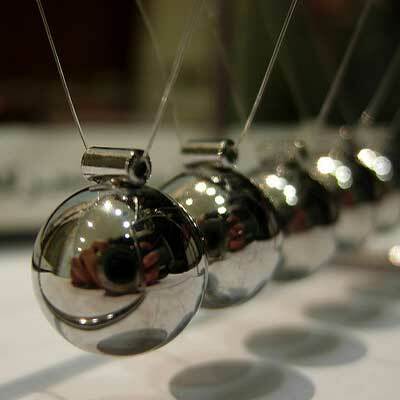 You will develop mathematical problem-solving techniques and critical thinking skills to solve scientific and technological problems using physics. 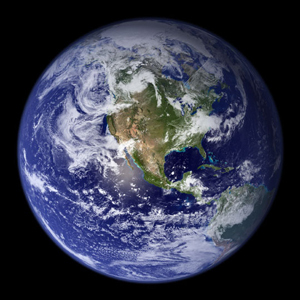 This Advanced Placement Human Geography course will introduce students to the study of patterns and processes that have shaped human understanding, use and alteration of Earth’s surface. In-depth concepts to be covered include population, political organization, agriculture and rural land use, industrialization and economic development, and cities and urban land use. Students in this course should expect to complete a rigorous mix of readings, reflections and exams. After taking the course, students will be encouraged to take the Advanced Placement Human Geography test in May to potentially qualify for college credit. Register for both Sem A and Sem B to complete the entire sequence in preparation for the AP Exam. This may be done in fall and spring, or spring of one year and fall of the next. This course is designed to provide students with a comprehensive analysis of the authority, structure and procedure of American government. Major topics include the constitutional foundation, the politics of democracy and the roles of the executive, legislative and judicial branches in the federal system. Emphasis is placed on the rights and responsibilities of citizenship in a democracy. In addition, students should develop the skills of inquiry and research necessary to interpret and make judgements regarding government actions in a complex society and world. Contemporary events, as they relate to course topics, are discussed through the year. Credit achieved for this course meets state graduation requirements. 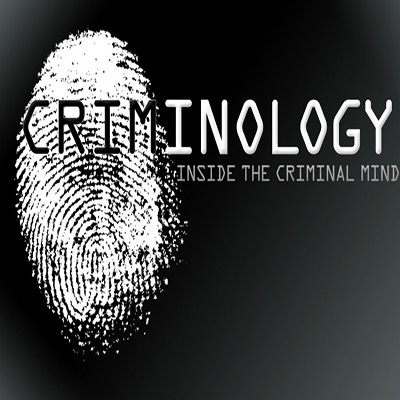 This course will explore the field of criminology or the study of crime. 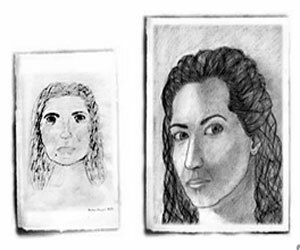 In doing so, we will look at possible explanations for crime from psychological, biological, and sociological standpoints, explore the various types of crime and their consequences for society, and investigate how crime and criminals are handled by the criminal justice system. The course lasts one semester and qualifies for 1 semester credit. 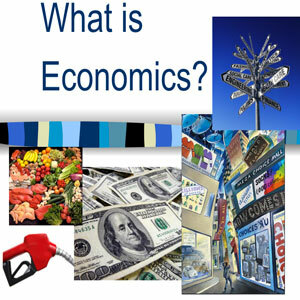 Economics is the study of how people decide to allocate scarce resources among alternative courses of action. The process of choice necessitates the development of economic systems for resolving problems and issues dealing with what to produce, how to produce, and how to distribute the fruits of production. 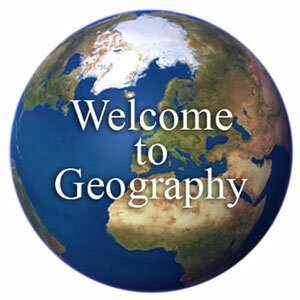 In Geography the student will learn about various regions including; human population, regional pattern of culture groups/political units, present patterns of economic activity, characteristics of local/global settlements as well as how humans interact/adapt with the environment. 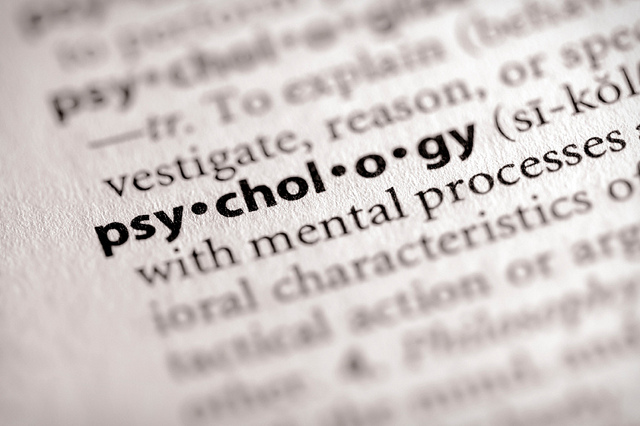 This course is a one-semester course that covers some of the principal areas and concepts of modern psychology. Topics include research methodology, ethics, learning, perception, social interaction, personality, intelligence, social development, and psychopathology. Every purchase, lease, contract, marriage, divorce, arrest, crime or traffic violation places the citizen face-to-face with the law. 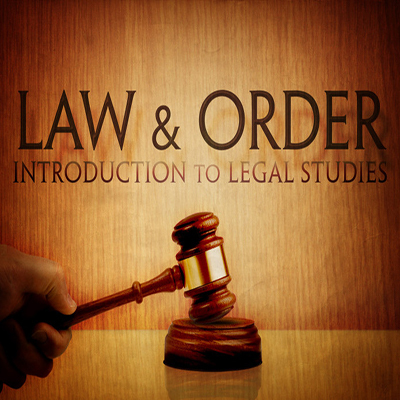 Law & Order is designed to provide students with an understanding of their legal rights and responsibilities. This course will provide a general overview of the political, social, religious, cultural and economic developments of early American history. World History students investigate areas of the world both past and present using interdisciplinary approaches. Concepts and methods from history, anthropology, sociology, political science, geography, and economics are used to learn about cultures other than our own. Students will learn important lessons from the past. Students will also be encouraged to analyze current international issues from a variety of viewpoints using skills learned and practiced in the course. This course focuses on the major world religions as practiced in America. The study of the world’s religions is a lifelong journey. This course is designed to provide structure to help you organize your thoughts and enable you to make intelligent assessments about religion. You will be introduced to each faith by leading advocates of the tradition. Religion is a basic building block for society worldwide, and this course will enable you to grow in understanding and appreciation of the many faith communities around the world. Sociology is the study of groups and group interactions, societies and social interactions, from small and personal groups to very large groups. A group of people who live in a defined geographic area, who interact with one another, and who share a common culture is what sociologists call a society. 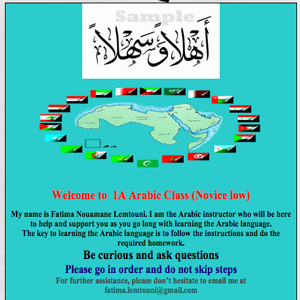 This course is an introduction to Arabic. Students will begin to develop skills in reading, writing, speaking and listening in the language. 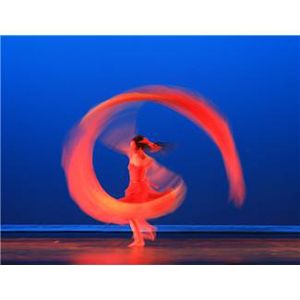 Cultural activities will introduce students to the peoples, customs, geography and music of the Arabic-speaking world. 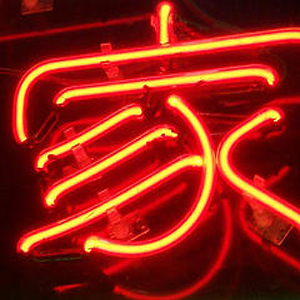 In Chinese 1, students will learn the basics of the Chinese language. Content is centered on communicative competence. By the end of this course, you will have a solid foundation in the basics of the Chinese language, and be ready to expand your study into more complicated Chinese content. 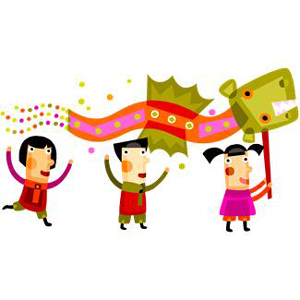 This course is structured for the student to continue the study and mastery of the basic skills of speaking, listening, writing, and reading beginning Chinese. As in Chinese 1, the course focuses on modern Mandarin Chinese, but some commonly used formal expressions used only in written Chinese are also included. Students will become acquainted with contemporary Chinese life and the contributions of Chinese culture. 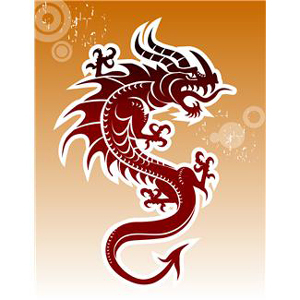 This course is structured for the student to continue the study and mastery of the basic skills of Chinese Language and Culture. Students will become more acquainted with contemporary Chinese life and the contributions of Chinese culture. The student will participate in such speaking activities as dramatizations, discussions, and narrations, will read contemporary short stories and newspaper articles, and will apply structural concepts and new vocabulary to the writing of descriptive passages. 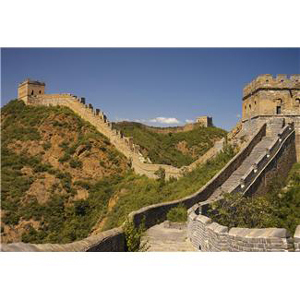 This course is aligned with the first year of college-level Chinese. Students in this course will develop reading, writing, speaking, and listening comprehension skills at the advanced level. Students will read short stories and articles from magazines and newspapers and will write summaries, reviews, and letters. Students will develop advanced conversational skills in small-group settings, and comprehension of Chinese through films, TV, and radio programs. A textbook Deposit of $75 will be collected at the start of the class and refunded when all books are returned. This class will put at your fingertips resources for learning the basics of the French language. The basic vocabulary you will be learning about yourself, your family, your free-time activities, and your community. In the process you will learn about the French people, about their culture, and about their language. We will do weekly activities, projects and/or quizzes and monthly web-cam checkups on pronunciation and speaking skills. The oral part can be learned from video and listening activities with the online text and is a basic to our class. The textbook will be an outline text called Allez, Viens, and there will be online activities as assessments. French listening, speaking, reading, and writing skills will be expanded using various Internet tools. Students will be expected to do daily work, and do weekly projects or assignments to demonstrate their learning. The text uses online exercises and videos, flashcards and quizzes. The units studied are food, daily routines, sports, and music. The grammar that will be mastered are past and future tense, and also the imperfect and descriptive past. Students will be involved in reading and telling, and in monthly speaking check with the web-cam or telephone. Students should have at least a C in French I to enroll and should be able to manage their time well. Cultural units to be studied are on the French speaking world and the geography of France. The online text Allez, Viens has activities and online assessments. This course will continue to add to the vocabulary you know, including units on travel, occupations and your home. Grammar topics include three new tenses: the imperfect, the future and the conditional. Cultural studies will include parts of France as well as Canada, the French educational system, and the European Union. The activities continue to be varied, but will get more challenging as you progress through the course. This course will continue from where you left off in French III, adding more vocabulary and usage and the present subjunctive mood. Cultural topics will include areas around the world where French is spoken, the environment, and technology. The activities will be varied, but even more challenging. In Japanese 1, students will learn the basics of the Japanese language. Content is centered on learning how to learn to read and write Japanese. Specifically, Students will learn how to read and write the first Japanese alphabet (hiragana). Students will learn the fundamentals of Japanese grammar and sentence construction. By the end of this course, you will have a solid foundation in the basics of the Japanese language, and be ready to expand your study into more complicated Japanese content. This course is a continuation of Japanese 1, and will introduce the student to a variety of areas of language learning. In this course, the student will learn listening, speaking, reading and writing skills through activities that are based on pedagogically proven methods of foreign language instruction. Throughout the five units of material (Daily Life, Animals, Activities, The Body and Descriptions), students learn to express themselves using an ever increasing vocabulary, present-tense verbs and adjectives. Grammar is introduced and practiced in innovative and interesting ways with a variety of learning styles in mind. 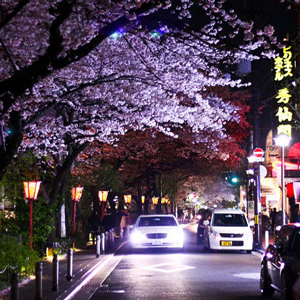 Culture is sprinkled throughout the course in an attempt to help the learner focus on the Japanese language and culture, people, life-style, geographical locations and histories. The course is aligned to the national Foreign Language standards. Learn the skills to discuss questions about immigration raging in the media today. Look at real stories about real people, their life in Mexico, what kids do there, what they worry about, what they love about their country and ours, and what it is like to be poor and to come to America as an immigrant. Examine why some feel they are a threat, and others a benefit to our country. The core Spanish 1 grammar will meet Academic Standards so the students can enter Spanish 2 confidently. Much of the vocabulary will be similar, but the activities and readings will focus on an immigrant’s life either in their home country or Minnesota. As with the typical Spanish 1 program, readings will be in Spanish and English. 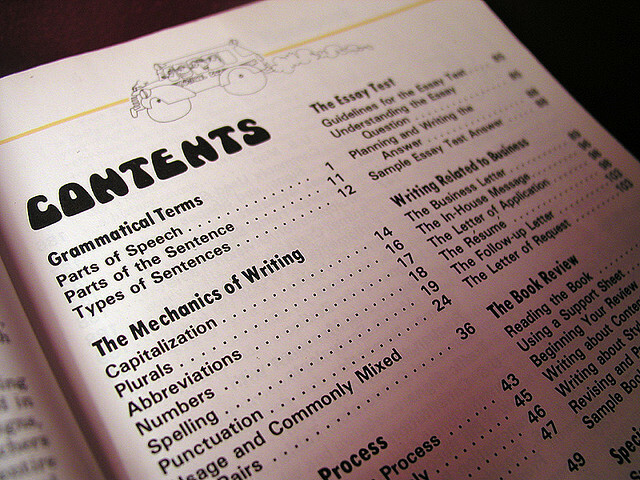 Students receive additional grounding in grammar and vocabulary in this two-semester course. Instructional material encourages students to build conversational and reading skills to cover many common situations in daily life. 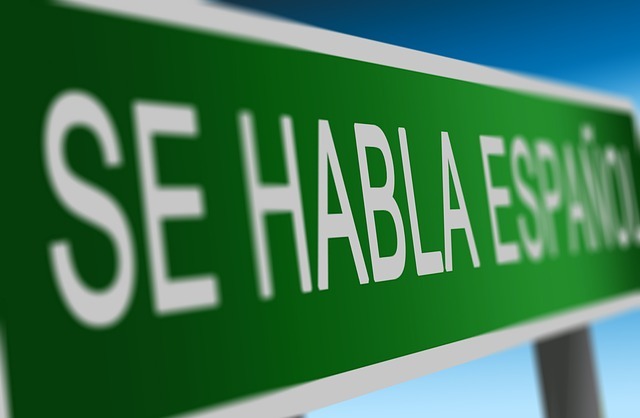 Like Spanish 1, this follow-up course adheres to the standards of the American Council on the Teaching of Foreign Languages (ACTFL). Learning activities in each unit are focused on a specific theme. The units for both semesters cover a broad range of useful everyday subjects, including daily routine, animals, entertainment, body parts, rooms and furniture, shopping and clothing, meals, sports and recreation, and transportation. 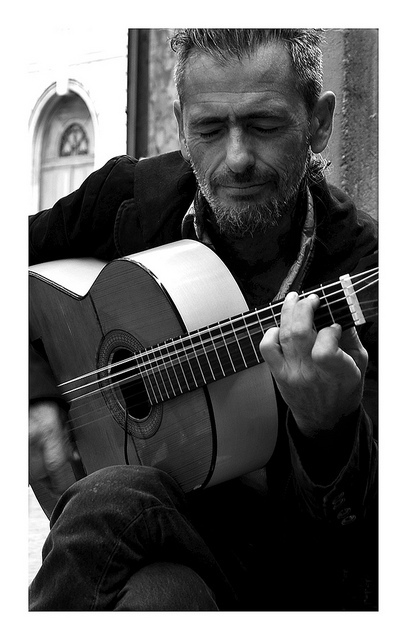 Students must successfully complete Spanish I in order to enroll in this course. This course is a continuation of a beginning level course that will introduce the student to a variety of areas of language learning. In this course, the student will learn listening, speaking, reading and writing skills through activities that are based on pedagogically proven methods of foreign language instruction. Throughout the units students learn to express themselves using an ever increasing vocabulary, present-tense verbs, articles, and adjectives. Grammar is introduced and practiced in innovative and interesting ways with a variety of learning styles in mind. 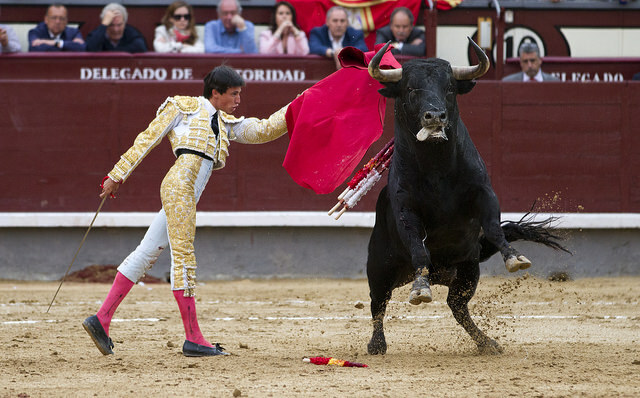 Culture is sprinkled throughout the course in an attempt to help the learner focus on the Spanish-speaking world and their culture, people, geographical locations and histories. The course is aligned to the American Council on the Teaching of Foreign Language standards. This third year of Spanish is a continuation of the first two years. The student will continue to sharpen listening, speaking, reading and writing skills through activities that are based on pedagogically proven methods of foreign language instruction. Throughout the five units of material (Feelings, Transportation, Work, Countries and the Future), students learn to express themselves using an ever increasing vocabulary, present-tense verbs, past-tense verbs, articles, and adjectives. Grammar is introduced and practiced in innovative and interesting ways with a variety of learning styles in mind. Culture is sprinkled throughout the course in an attempt to help the learner focus on the Spanish speaking world and their culture, people, geographical locations and histories. The course is aligned to the national Foreign Language standards. This fourth year of Spanish is a continuation of the first three years. The student will continue to sharpen listening, reading and writing skills through activities that are based on pedagogically proven methods of foreign language instruction. Throughout the five units of material, students learn to express themselves using an ever increasing vocabulary, present-tense verbs, past-tense verbs, articles, and adjectives. Grammar is introduced and practiced in innovative and interesting ways with a variety of learning styles in mind. 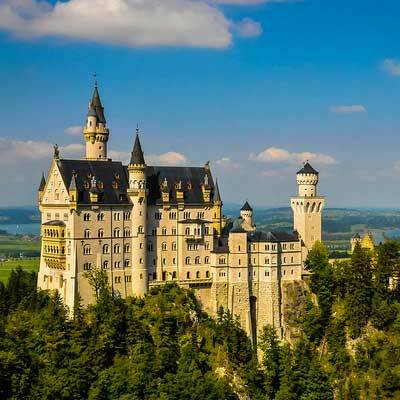 This course is an introduction to the German language and will give students some basic vocabulary and structures to work with as they begin their learning of another language and culture.